Hi Everyone! It's Kathy today with a fun party set featuring the oh so adorable Dragon Tails Collection. I'm part Swedish, so the little vikings in this collection are right up my alley, and don't get me started on the adorable dragons. I put together a cute little party set, take a peek.. I really had a fun time with this collection! I started with the banner featuring lots of pieces from the Odds & Ends and tied together with some Blue Jean Chunky Twine. I love how many pieces you get in the Odds & Ends package, I used so many and still have most of them left! 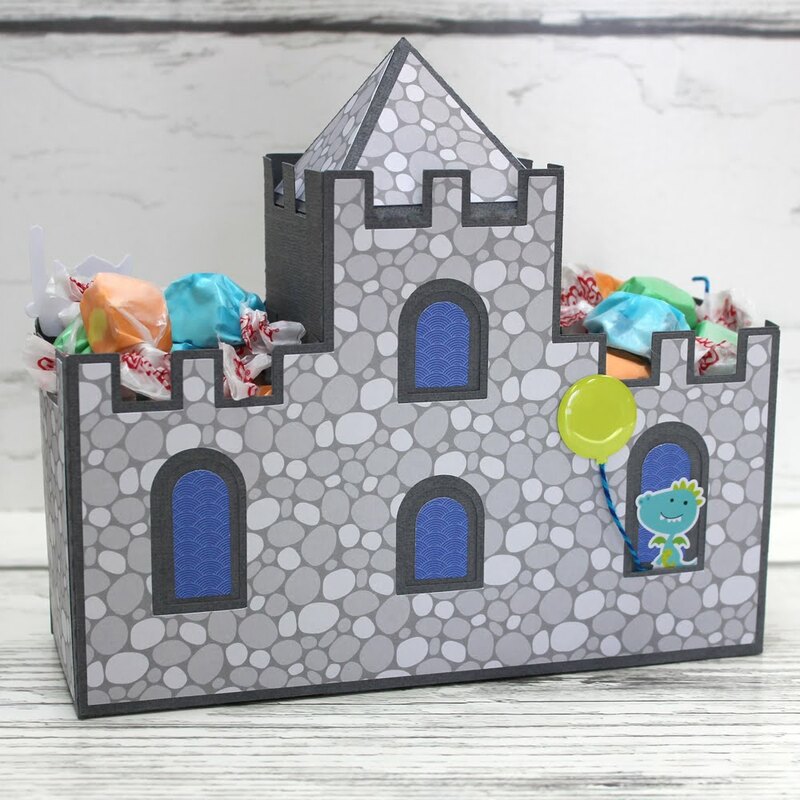 Next up is this cute little castle I made as a centerpiece. I started with this cut file which was actually meant to be a sand castle. All it took to make it look like a stone castle was some of the Cobblestones Double Sided Cardstock! I added some vikings from the Mini Icon Stickers, the Hip Hip Hooray Mini Garland, and a cute dragon & present sticker from the Icons Sticker Sheet. To finish it off, I gave the dragon a balloon from the Balloon Shaped Sprinkles! 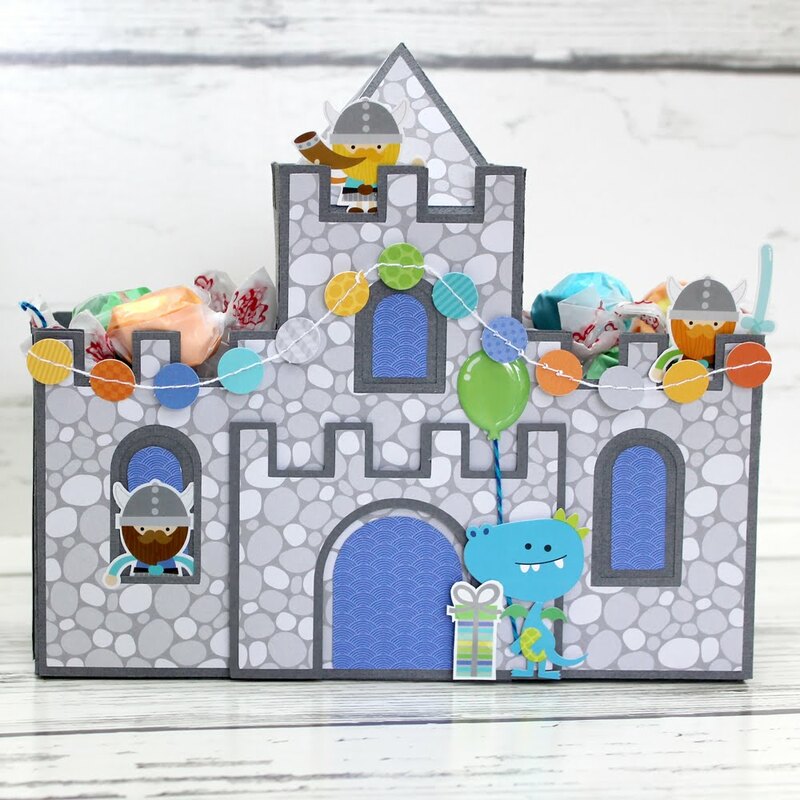 Here is the back of the castle, I couldn't resist adding one more little dragon with a balloon! I made the little party favors to look like the broken dragon eggs. 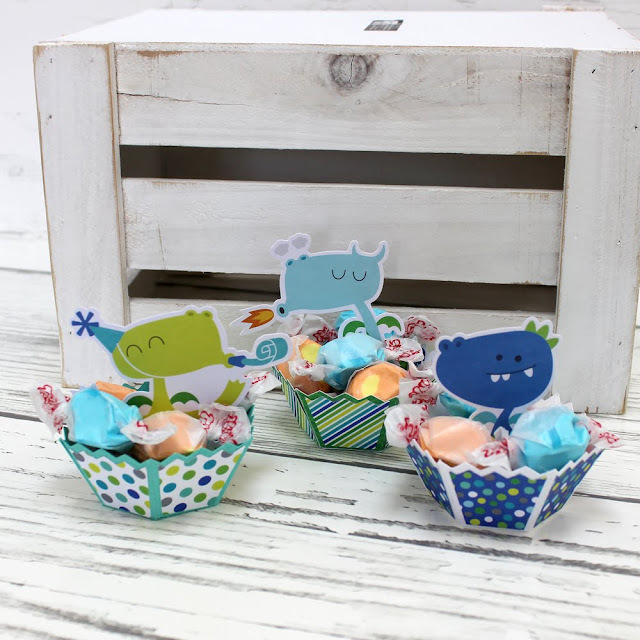 I added a little Dragon from the Odds & Ends to each "egg" and filled them with some treats! I created the Broken Egg Half Silhouette file along with a little piece to help the Dragons stand up, and would love to share it with you! You can download it from my blog here. That's it for me today, thanks for stopping by to peek! Adorable projects, Kathy! Love everything you've done with this collection!!!!! LOVE! I'm Norwegian, and have been into vikings lately. So is my son---he's grown a Viking beard. 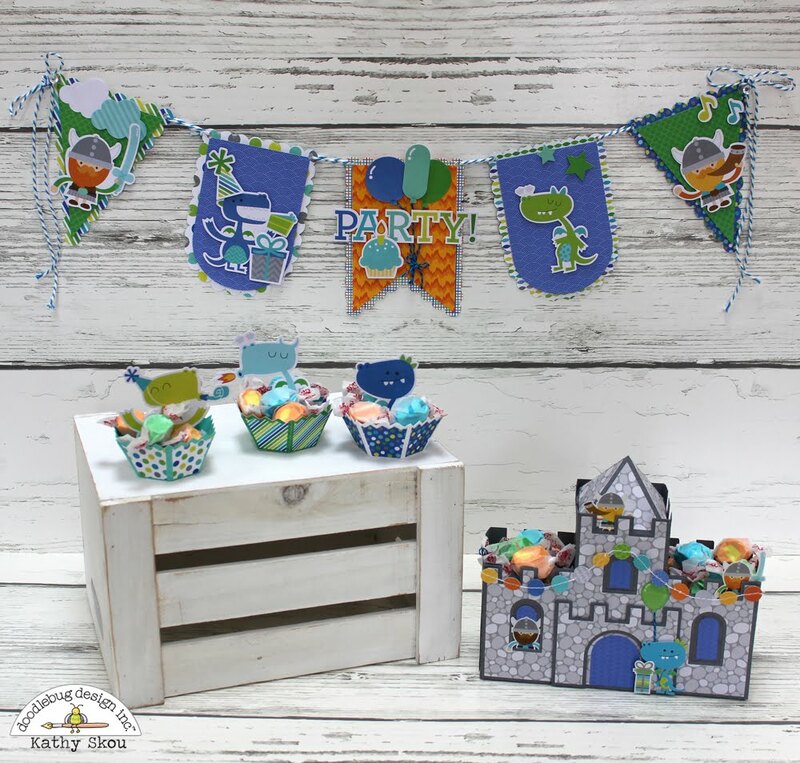 Such an adorable party set Kathy! Too cute!